How much has your business grown since you started? If your answer is “not as much as I would like”, then you are not alone. We all know that growth should be at the top of our priority list. However, in real life it’s easy to get bogged down and distracted by the day-to-day running of your business. 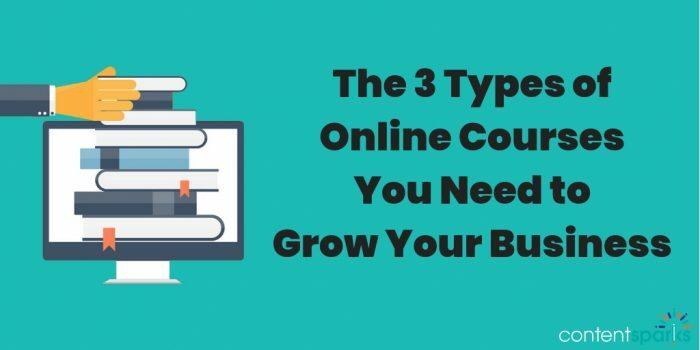 But what if I told you that you could tackle your biggest business growth challenges with just 3 types of online courses? And it doesn’t have to take you a lot of time to manage, once you have them set up. Your courses can run almost completely on auto-pilot while you focus on other parts of your business. The Global e-learning market will reach $398 billion by 2026! And that can only get bigger as internet access improves worldwide. The internet has opened up a whole new way to learn, with knowledge right at our fingertips no matter where we’re sitting or what device we’re using. Whether it’s a full degree program or a short set of tutorials on a specific skill, people are buying online courses. And with the availability of low-cost and free platforms (such as Teachable) for delivering engaging programs, any business owner or individual can create and sell their own course. You don’t need to be a computer or tech whiz to set it up. The best part about online courses is their versatility. You can use them in several different ways to grow your business, and you already have knowledge you can put into a course. You just have to decide how you want to leverage courses to achieve the most growth. Then pick a relevant topic that will entice your audience to sign up. The rest is all about building the course itself, which you can do with our ready-to-teach content, and then telling people about it. So let’s get started with that first, critical step – deciding where you’ll leverage online courses in your business. Many of the articles and programs you’ll see being promoted have to do with selling online courses to grow your income. And that’s definitely one powerful growth hack. However, there are 3 main places in your business where courses will have a dramatic impact. Focus on creating a course in each of these places and you’ll be well on your way to double and triple digit expansion. As part of building a business, you’ll have identified a target market or “ideal customer” who you want to serve. Those people are always looking to solve a problem, reach a goal, develop a new skill, or tackle some challenge that affects their lives. Start by creating a mini-course that’s related to one of your products or services. Make it something that people will see results from in a short space of time. And when you add those people to your email list, either tag them as interested in that topic or add them to a list dedicated to that topic. Share the opt-in or registration link for your mini-course on your blog or website, in social media, in guest blog posts, with your current subscribers, or even in Facebook Ads (if your audience is there). Now you have a list of people who are eager to learn more and who already recognize that you can help. Without something to sell, you have no revenue. And unless you have multiple offers to sell, you’ll always run the risk of seeing your income dry up. That’s why you need to diversify your paid offers, and online courses make it easy to do. 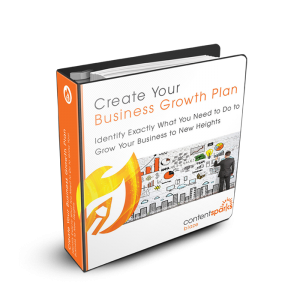 Take the topic you addressed in your free mini-course and expand on it to go more in depth. The key to success and simplicity is to start with your free mini-course to build a list of interested leads. Then sell your course to those subscribers. It’s a natural step for them to buy and it doesn’t require heavy marketing, promotion, or advertising on your part. Finding leads and converting them to customers may seem like the most important part of growing a business. But keeping them coming back and buying again and again can be your biggest growth success factor. In this case, your courses can be either free or paid, or both. Start by asking your customers what challenges they’ve had with their previous purchase. Then create a free mini-course to address a specific part of one challenge. Share that course only with customers, so that they know they’re getting something special that’s only for them. Gather feedback and interact with those customers to identify what your next paid course should be. Then create your new online course using the same process as your first one. You already have a ready market of customers, waiting for you to go live. Ready to grow your business with online courses? Use our free Online Course Business Builder Worksheet to identify the 3 types of online courses you’ll use and how they fit into your current business. Want a ready-to-go course you can use right now to grow your business? Very interesting information that I can use to promote any niche . Thank you providing that information in such a manner that even a newbie can understand. I am sure I will purchasing the materials you have avalible on you site.